Have you decided to build a new home in the Pittsburgh area? It’s a great time to make the investment in this real estate market, and you will be thrilled with the results of creating your own custom spaces and amenities — as long as you ask the right questions when selecting a builder. What kind of customer satisfaction feedback have you received? Don’t just rely on the credibility of builder-supplied testimonials, take time to look at galleries of homes that they have built, and also visit properties in person, if possible. Find people who have used the builders you are considering and ask about their experiences. Also take the time to research each builder’s professional background. How many people will I be working with on the design and construction? Many homebuilders have their customers meet with a different person at each stage of the process – sales, design, and construction. That’s a lot of information for the average consumer to remember from one step to the next. And it means there are multiple chances for important information to be forgotten or muddled. Finding a builder who has one point person or coordinator to guide you through the process from beginning to end will make things simple and give you the time and confidence to handle major decisions about what you want in your new home. What is included in the standard home design? This is a big question. A good place to start is by looking at the builder’s sample or model homes, and ask about their library of floor plans. When you start looking for a home builder and you are sticking to a budget, make it clear to the builder what you are willing or able to spend on a home, and verify exactly what is included in a standard package. An initial price might look great to you, but then you find out later that features you expected to have in your house are available only as pricey upgrades. It pays to examine exactly what you are getting for your money, and to not be put off by standard home costs that seem higher than others until you have researched the finishes and features that each builder considers to be “standard”. What locations are available, and what does each location offer? You may have settled on one part of the Pittsburgh region for your new home, but it’s worth exploring with your builder all of the pros and cons of the locations available to you, including proximity to major traffic arteries, schools, hospitals and shopping centers. Other things to consider are community amenities, commute times, and future development in the area. How much am I going to pay for a piece of property? 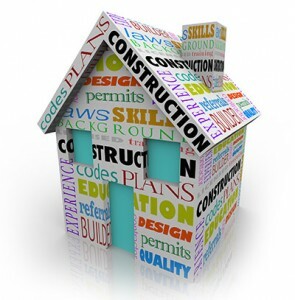 Ask prospective home builders to provide you with a range of prices for available properties. How long does it take for you to build a home? 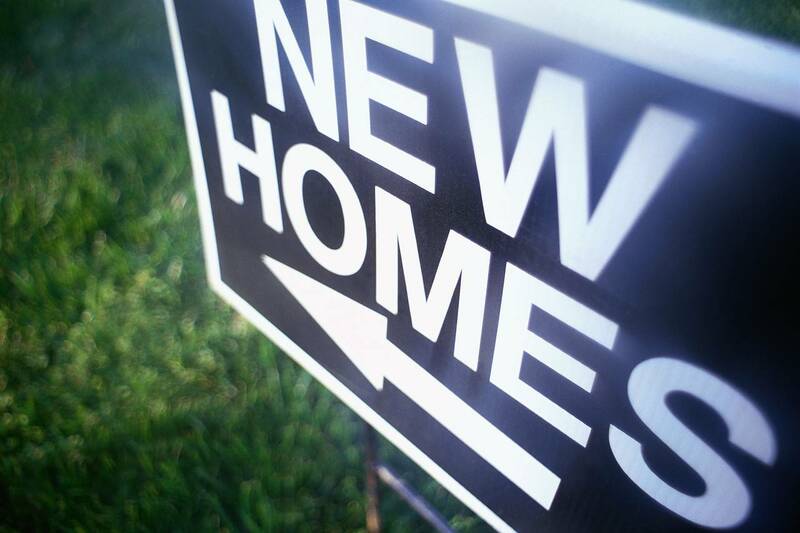 Most new homes can be completed in less than a year – some as quickly as 5 months. The builder you choose should be willing to work with you based on your own personal choices and needs, and not rush the project or drag it out. Building a new home is a huge decision, and one you want to make without regrets. Choosing the right builder will give you peace of mind and satisfaction with your home, property and your whole neighborhood. 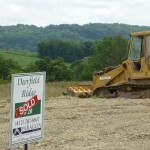 Breaking Ground at Deerfield Ridge! SOUTH FAYETTE TOWNSHIP, Pa., August, 2013 /PRNewswire — Paragon Homes Inc., one of Pittsburgh’s own elite-custom home builders, held a ground breaking for their new model home, a 2833 square foot home (plus a Finished Walk-Out Basement!) set on a charming cul-de-sac road just down Old Oakdale Road from the South Fayette School District campus. Deerfield Ridge features just 23 lots for new custom homes on a single cul-da-sac with a view like no other Road in the South Hills. The prices are starting in the low $400’s to the $900’s plus and already include many features in their starting prices that you would have to pay extra for elsewhere. The model home has been designed to appeal to the needs of today’s home buyers with features like the spacious kitchen and great room with plenty of space for friends and family to gather, a three car garage, large back yard, 2nd floor laundry as well as a study/flex room on the main level. The model is expected to be listed for sale at $499,900. It’s a very traditional home for Pittsburgh with a Paragon Homes touch. You will notice the difference at the front door whether you walk in during or after construction. When you can see behind the walls, you will notice the old world craftsmanship that is still present in Paragon’s new homes. From solid framing that puts a premium on standing the test of time to insulation and other energy efficient features that exceed ENERGYSTAR requirements, you can tell a Paragon custom home is different. Being a custom builder, Paragon Homes can offer clients a home that is designed around what they want. “Clients can bring their ideas, we can modify a floor plan for them or help them design something completely unique. If you want a simple plan with no wasted spaces and 4 car garage, no problem. If you want a plan with four formal rooms, a wine cellar and a library, no problem. 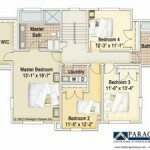 Paragon Homes has been building truly custom homes for over 25 years. They are a small builder and can simply spend more time with their clients than other builders can. By keeping the number of homes they build a year low, they can offer a small boutique feel with more customer service and attention to your home than other builders. You can regularly find the officers of the company in jeans out checking on each home. All Paragon Homes carry a 10 year structural warranty and a 1 year fit and finish, but what sets them apart is their attitude towards service. Some builders have a that’s not covered attitude towards warranty where Paragon regularly goes above and beyond their warranty obligations to take care of the clients needs. The information in this press release is subject to change and the pricing and other features of any Paragon Homes Inc -built home will be established at the time of sale. ENERGYSTAR® is a registered trademark owned by the U.S. government. It’s 2013, and there’s no time like a new year for a fresh start. A new year is a great time to look for a new home. 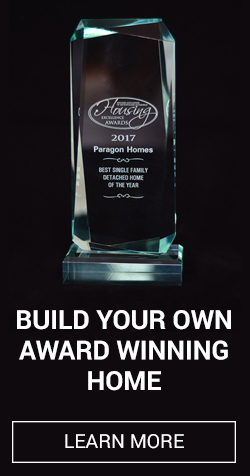 Paragon custom home builders offers many options for families seeking new affordable and comfortable, yet upscale, homes. Whether it is casual elegance, traditional architecture, or a modern, understated vibe, Paragon Homes has the custom home options for you – no matter what style you’re looking for! We’re in some great areas, too. Pittsburgh is one of the most thriving, up-and-coming, and economically stable cities today, and Paragon Homes has some amazing new home communities in and around the Greater Pittsburgh area. We also build beautiful, quality houses on individually-owned sites. If you are just starting to look at properties, or own a lot already, we can help you. We invite you to meet with us to discuss your community requirements, offer design assistance if needed, and more. No matter your budget, style, or personal tastes, we have an option for you. There’s the lovely Fairacres community in Upper St. Clair, the luxe homesites at Walkers Ridge next door to Nevillewood in Collier Township, and Deerfield Ridge in the much-sought-after area of South Fayette Township. If you’d rather be closer to Wexford or Cranberry, we invite you to check out Venango Trails, and if you prefer the luxury and tradition of the Sewickley area, one of the fabulous off site lots nearby may be more your style. If you work or play near the hustle-and-bustle of Robinson Township and North Fayette, we have many options for you: there are fabulous wooded 2 acre lots for single-family homes in Paragon Place and level lots perfect for a walk out life style in Chartiers Landing, both of Robinson Township. There are so many more Paragon communities and home sites in and around Pittsburgh, too! Learn more about ALL of them, here … and Happy New Year! Why should you consider buying a new home over an already lived-in house? There are many benefits. 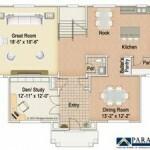 With Paragon Homes, custom builders, you can design your dream home, the way you want it! You can choose based on your personal tastes and preferences, so that it will all be your own style. From hardware, to flooring, countertops, cabinets, and more, it will definitely reflect YOU. In addition to decorative touches, you can choose the kind of floor plan that will suit you and your family. Moving into a pre-existing home means that you are stuck with whatever floor plan and layout is already in place – unless you want to invest time and money into doing home renovations, some of which can become major undertakings. New homes – especially those built by Paragon – are more energy-efficient than older homes, so you’ll be saving on energy costs, up to 40% or more depending on the homes you are comparing. This can be especially important as we approach another Pittsburgh winter. Appliances and air conditioning, heat, and windows will not need replaced as soon when buying brand-new. New houses have better indoor air quality, lower maintenance, and advanced designs. They also often feature the latest technology and the utmost in safety. A brand-new house also means that your home will be under warranty, and will be fresh, clean, and all yours! You’ll have that new-home feel for much longer, and it will all reflect your dreams and your choices. The comfort, quality, and style will be a collaborative effort between you and Paragon – you won’t be living in someone ELSE’S dream home. 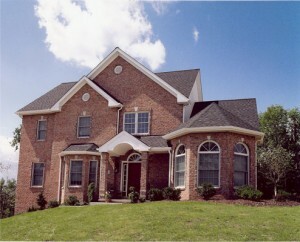 Paragon Homes has been building custom homes in the Pittsburgh area for nearly 25 years. 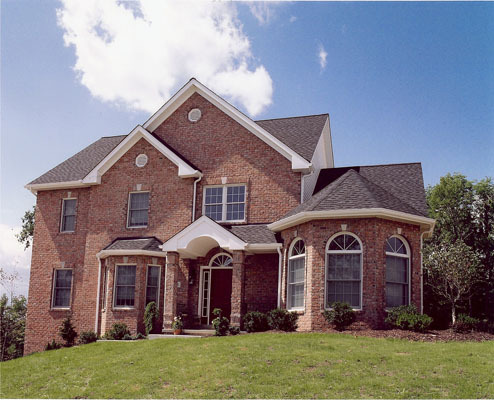 In that time they have come to be recognized as one of the premier custom home builders in Western Pa. In fact they have been honored to receive over 25 Housing Excellence Awards from the Builders and Realtors Associations of Metropolitan Pittsburgh and the Washington County Builders Association including several for New Custom Home of the Year designations. But luxury is more than that. It doesn’t have to be expensive or hard to obtain. It’s more than a dollar sign or a price tag – luxury is about living your best life, living your dream, being comfortable and content, and doing it YOUR way. You can achieve all of this with Paragon Homes! We offer customizable choices – so whether your taste is high-end or a little more subdued, we have the home, and the options, for you. Is your idea of “luxury” a walk-in closet? A granite countertop? A lush garden? Modern light fixtures? A winding staircase, a steam bath, or a bay window? Is your concept of luxury 1,500 square feet, or 8,000 square feet? Is it traditional and classic, chic and modern, or nostalgic and homey with a touch of whimsy? Whatever it is, luxury is what you want it to be. What makes you feel your best? Comfort is luxury. Being true to yourself and your vision is luxury. Defining your own personal tastes in a cooperative fashion that allows you to be yourself and have the home of your dreams – now THAT is luxury….and that is something that Paragon is prepared to offer you. Why choose Paragon Homes? It’s simple. Paragon gives you choices. We have a reputation to uphold and are proud of that fact. As Pittsburgh’s premier custom home builders, we can promise you that you’ll be getting unparalleled levels of craftsmanship, quality materials, great customer service, and outstanding attention to detail. We’ll work with you to achieve YOUR idea of luxury….no matter what it is! Contact Paragon today, and let us help you obtain your dream home! 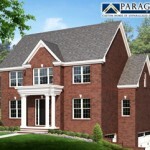 Paragon Homes has been building custom homes in the Pittsburgh area for nearly 25 years. Founded on the basis of outstanding customer service before, during and most importantly after construction they have come to be recognized as one of the premier custom home builders in the region. In fact they have been honored to receive over 25 Housing Excellence Awards from the Builders and Realtors Associations of Metropolitan Pittsburgh and the Washington County Builders Association including several for New Custom Home of the Year designations. Ashley Boynes-Shuck is a blogger, aspiring author, and social media pro from Pittsburgh, PA. She was voted Best Blogger in Pittsburgh and Who to Follow on Twitter 2010 and happily lives with her husband, pug, frogs, and kitten! In her free time she focuses on advocacy and volunteer work, as well as rooting on the Pittsburgh Steelers! Ashley was recently honored as one of Pittsburgh’s Top 40 Under 40. Why Is New Home Building Increasing in Pittsburgh? People are coming to Pittsburgh, amazed at how much further their dollars go here. If you’re looking to build a custom home (or move into a new home community) Pittsburgh may be your best bet. If you’re looking for reasons to stay in Pittsburgh, they’re growing by the day! According to The Economist‘s list of most livable cities in the world, Pittsburgh is the highest ranked U.S city coming in a 29th. 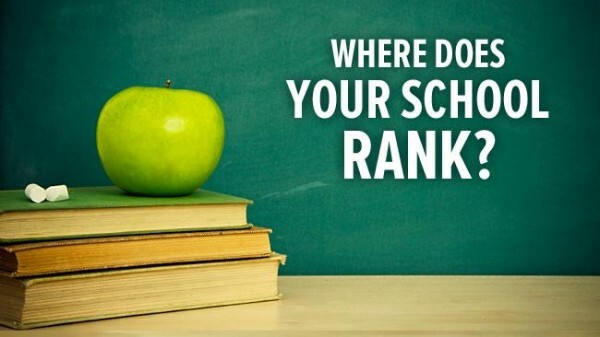 This is the latest in a long line of accolades the city has received, which include the same title from Forbes in 2010 and 2009. From storied sports franchises to a growing arts and entertainment community, Pittsburgh is full of things to enjoy on your free time. Growing cutting-edge industries also ensure plenty of opportunities for you and your family in the future. You can check out our current list of new homes for sale, or look into our new home communities, Pittsburgh metro area. Don’t forget, as always, you can contact us to schedule an appoint to plan your own custom dream home today if you don’t want the pre-built treatment. We are Pittsburgh’s premier luxury home builders. Pittsburgh is through its mid-life crisis and its best years are ahead of it. Enjoy the greatest city in the world by living in the highest quality homes it has to offer. Call us today!